Ella Fitzgerald once said, ‘Music is the universal language…it brings people closer together’. 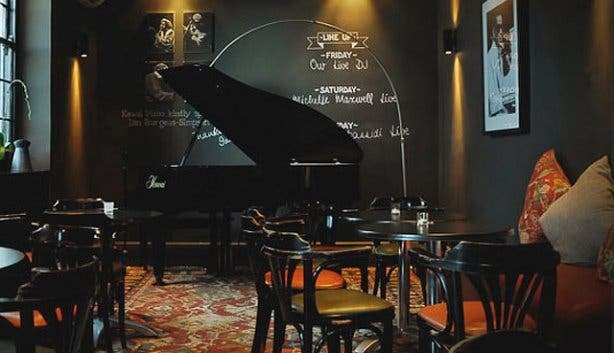 If she had been able to visit The Piano Bar, tucked away among the cobbled streets of Cape Town’s colourful De Waterkant neighbourhood, she would no doubt have cited it as proof. 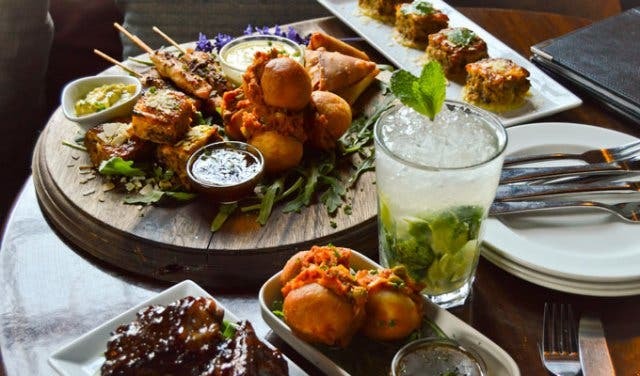 Somewhere between the sort of swanky clubs you’d expect to find in New York City’s West Village and the kind of soulful haunts that dotted Joburg’s Sophiatown in the 1940’s, this moody music revue bar and eatery is a vibrant patchwork of people on any given night. 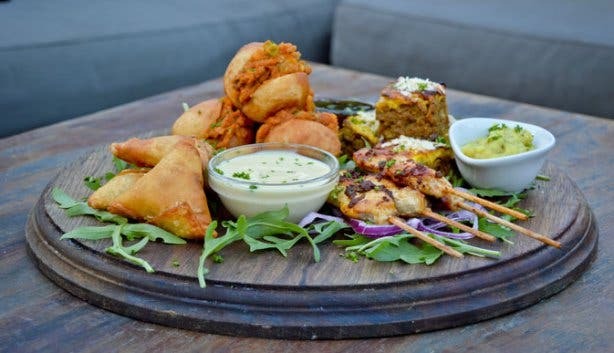 In fact, as co-owner Ana Granero says, “It’s hard to think of any other place in Cape Town that mixes as many ages and cultures as The Piano Bar does” – some souls preferring to soak in the views with a cocktail for company from the wraparound terrace or open rooftop area; others happy to enjoy a tapas dinner while listening to live melodies within the venue’s dark grey walls. Being inclusive was part of the objective from the beginning. 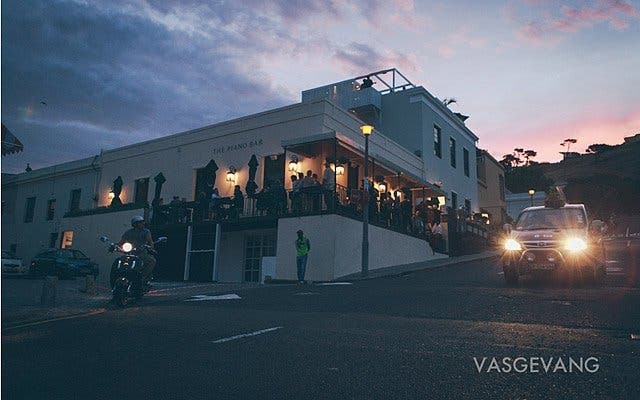 When the intimate spot opened its doors in December 2012, it did so with an aim to, “give a stage to up-and-coming Mother City artists who play easy-listening music, and to also create an unpretentious and laid-back environment that’s open to everyone,’ says other co-proprietor Richard Rubenstein. 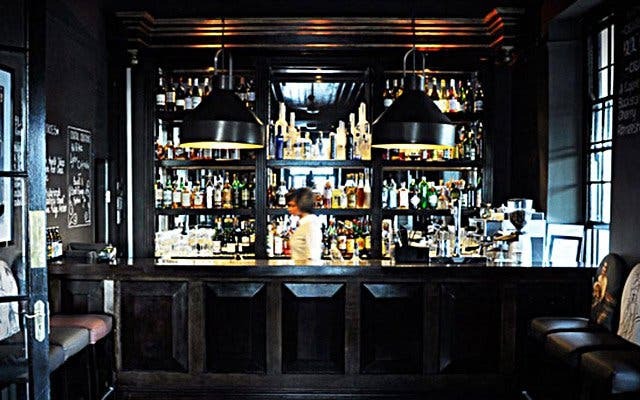 For this reason, the bar veers away from the rather intimidating concept of a true jazz club, and instead focuses more on just encouraging fun at a lively venue that places music, drinks and food on an equal footing. 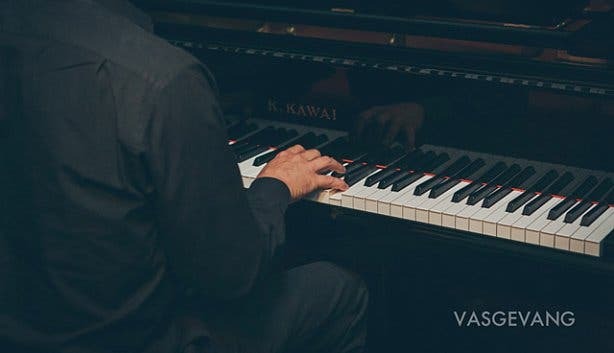 True to its name, The Piano Bar is home to an exquisite Kawai baby grand, which sits regally in a nook of the main music room. This beautiful instrument is accompanied by a varied array of others to promise a live music experience that awakens and delights a unified crowd every night of the week. While Sundays to Wednesdays are on the more low-key side, featuring performances by solo artists, the tempo picks up on Thursday through Saturday with gigs by bigger bands and must-do drinks specials. 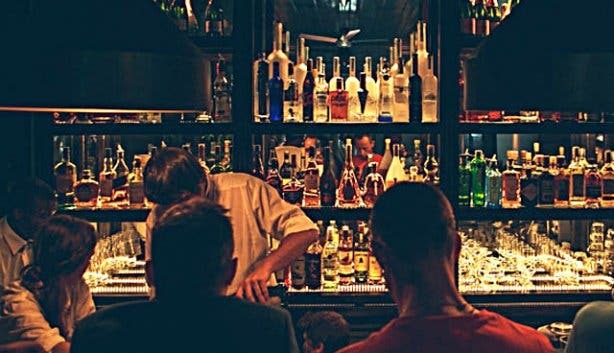 Of course, libations have as much power to unite people as music does, and the bar is rather serious about its drinks too. 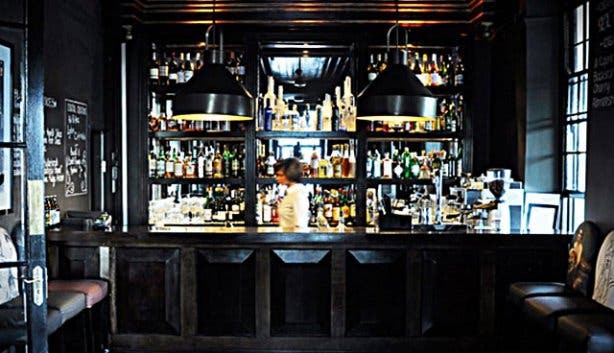 The cocktail menu comprises both classics done right and experimental signatures, made with fresh produce and the bar staff’s own inventive infusions. The old-fashioned mojito is the venue’s bestseller – it’s as fresh as a spring day – but other more unusual must-tries include the invigorating Basil and Clove Martini with freshly squeezed lime juice and the fragrant Piano’s Rose, a mix of muddled fresh strawberries and basil topped with basil infused vodka, rose extract and fresh lime. Choice wine, bubbly, craft beer and other beverages are also available. While some are surprised to learn that The Piano Bar also boasts quite an extensive seasonal food menu, it’s worth noting that the eatery’s snacks and mains are delicious enough to warrant a visit alone, music and drinks aside. Ana’s Spanish heritage means the focus is very much on tapas – they lend themselves to social eating too – but chef Emile Goliath has injected the offering with a medley of international flavours and a few proudly South African touches too. His finest contributions include bobotie squares with creamy yoghurt curry, Oriental pork balls, croquettes filled with béchamel sauce and smoked snoek (biltong or cheese is also an option), samoosas and tacos stuffed with pulled slow-roasted lamb seasoned with Deluxe Coffeeworks coffee. Other more substantial items include artisanal burgers and whatever else is on the special blackboard menu that day. 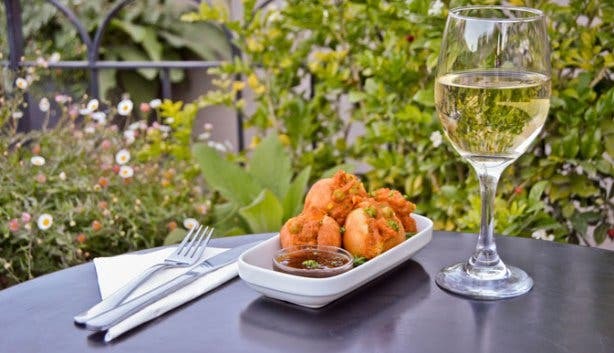 If you come at the right time, between 4pm and 6pm on any day, you can toast to the dipping sun with a 2-for-1 happy hour deal on selected tapas, cocktails, wines, beers and tequila – a fact that makes The Piano Bar a very appealing after-work drinks spot. Similarly, there are other specials on specific days to look out for, including a date night package on Mondays and a burger and beer deal on Tuesdays. 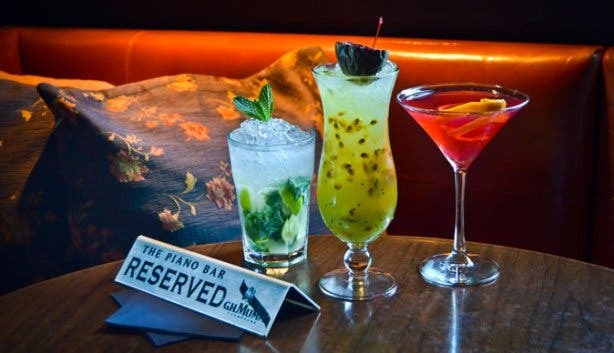 From the music to the cocktails to the food, it’s all about togetherness and harmony at this cosmopolitan De Waterkant venue, and we have no doubt that the likes of Ella Fitzgerald would agree that this is what makes The Piano Bar one of the city centre’s most alluring nightlife spots. Tip: Looking for a memorable place to host a birthday party? 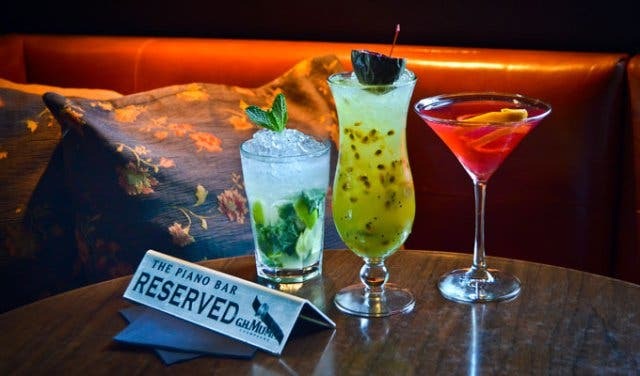 The Piano Bar is a great place for functions – you can hire out the entire venue or just reserve one section, and the birthday boy or girl will receive free dessert tapas. The Bill: There’s a minimal cover charge of R40p/p on Friday and Saturday evenings and R30p/p on Sunday nights (this may change for special events and performances). Prices for cocktails and tapas are competitive, and they’re especially reasonable when specials are running. Love the vibe? Get the full experience by staying over in this heritage 19-century Victorian building at The Grey Hotel upstairs. Looking for more of a different sort of musical experience? Check out our overview of live music venues in Cape Town's city centre.